Dr. Lonnie Nelson has extensive clinical and research experience in neurocognitive assessment and in rehabilitation interventions for people with brain injury. 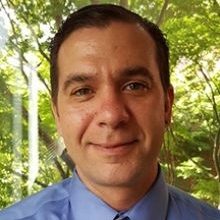 As an American Indian with origins in the Eastern Band of Cherokee Indians, he is also engaged in research, education, and training to improve the health and well-being of Native Americans. His research uses a community-based approach to ensure that all activities result in long-term improvements in the lives of participating community members. His past efforts include extensive assessment and rehabilitation of soldiers returning from military deployment with blast-related brain injury. Other previous research includes neurocognitive and physical assessments of American Indian elders for the Strong Heart Stroke Study, which enrolled members of twelve tribal communities in three states; and neurocognitive, physical, and brain MRI assessments of community-dwelling American Indians in the Seattle metropolitan area for a pilot program of the UW ADRC. From 2006 to 2008, Dr. Nelson was a trainee in the long-running Native Investigator Development Program of the Native Elder Research Center, which is funded by the National Institute on Aging. This program prepares American Indian and Alaska Native professionals at the PhD and MD level for independent careers in research to redress population health disparities. Since 2009, Dr. Nelson has been a faculty mentor with the Native Investigator Development Program.